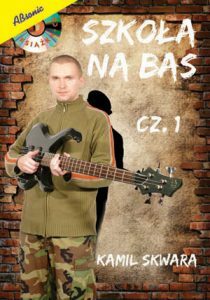 Kamil Skwara – School for bass guitar! 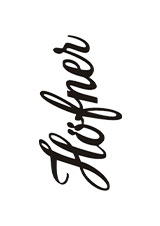 The legendary German brand Höfner, which hit encroaching on the Polish music market, continues to attract new users. The group of musicians joined Krzysztof Blas! 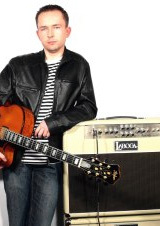 Krzysztof Blas – new endorser of Laboga Amps ! ALLIGATOR A CLASS is the new amp of the company. Tube design working in class A, switched power 30/15 W, speakers Celestion Heritage. 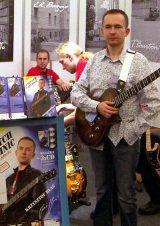 On this model decided to play Al Di Meola, Tommy Emmanuel, Jarek Smietana, and now Krzysztof Blas. Because printing crept into some small, but important for a proper understanding of the contents of errors, below is a list of them, along with a disclaimer. 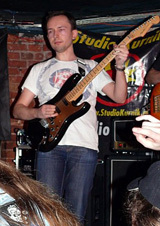 Fabrykazespolow.pl is a portal, which should visit every guitarist! In the latest installment can be found, among others, interview with Krzysztof Blas, conducted on the occasion of the last Music Fair Music Media in Krakow. 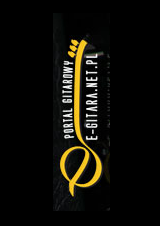 E-GITARA.net.pl is a new portal for guitarists. In addition to numerous hardware tests, relationships with important events in the world of music, readers will also find interviews with both national and foreign stars. The music club Liverpool in Wroclaw was a concert organized by the School of Rock & Heavy, whose star was a special legend of Polish music scene Mietek Jurecki (www.jurecki.art.pl). 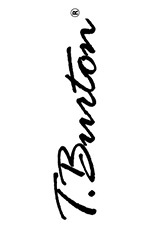 We are very pleased to announce the appearance of the music store promotional kits, which include excellent acoustic guitar T. Burton Greengo with free book Krzysztof Blas “No Secrets”! Krzysztof Blas appeared at the Fair Media Music Music in Krakow, where he promoted the new school play “No Secrets”. Like last year, the author could meet for 3 days at the booth Kisielewski.